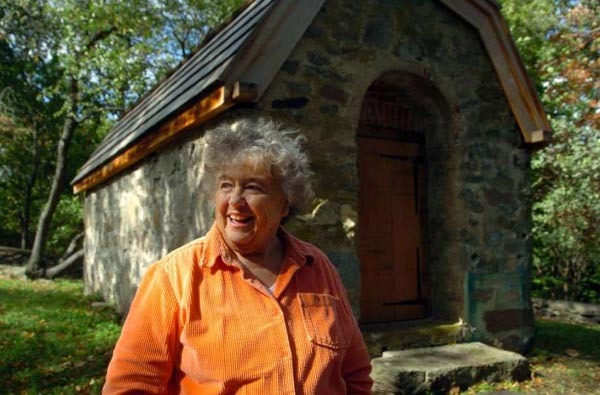 Betty Oderwald, the Connecticut Daughters of the War of 1812 Historian stands in front of the newly restored Powder House in Fairfield, Conn. It was built to house ammunition following the War of 1812 when residents feared another invasion by the British. 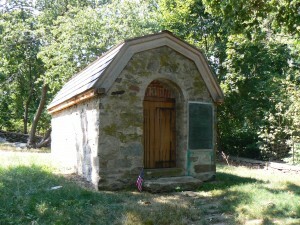 A recently restored powder house in Fairfield was built in 1814 to help the town defend itself against possible British invasion during the War of 1812. The powder house, which stands behind Tomlinson Middle School on Fairfield’s Unquowa Road, is believed to be the only remaining example in Connecticut of numerous such buildings used to store gunpowder and ammunition during the country’s early history. 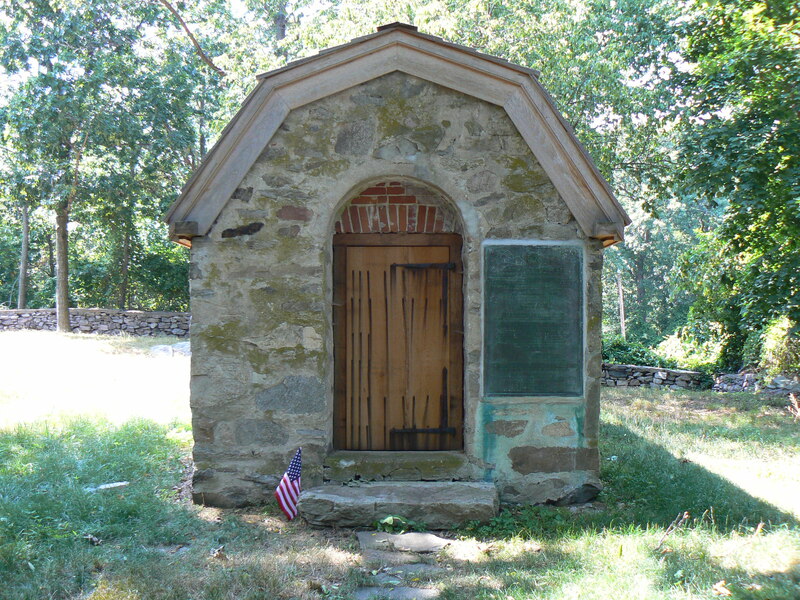 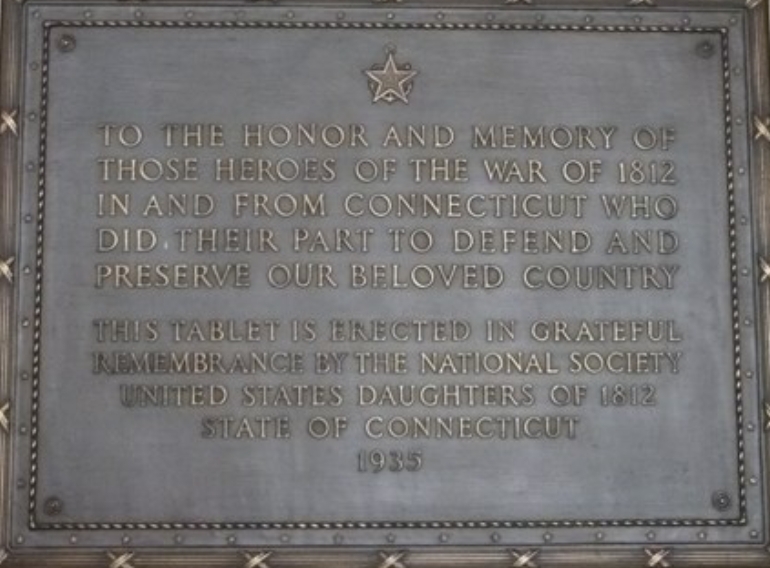 The bronze plaque next to the powder house’s door was added during a 1924 restoration, and provides information about the 1814 town meeting at which residents approved the powder house construction. 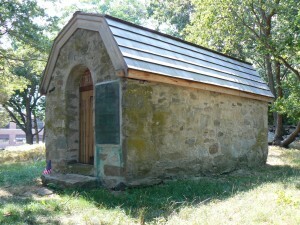 During that restoration, a slate roof was added and the site was surrounded by a stone wall. 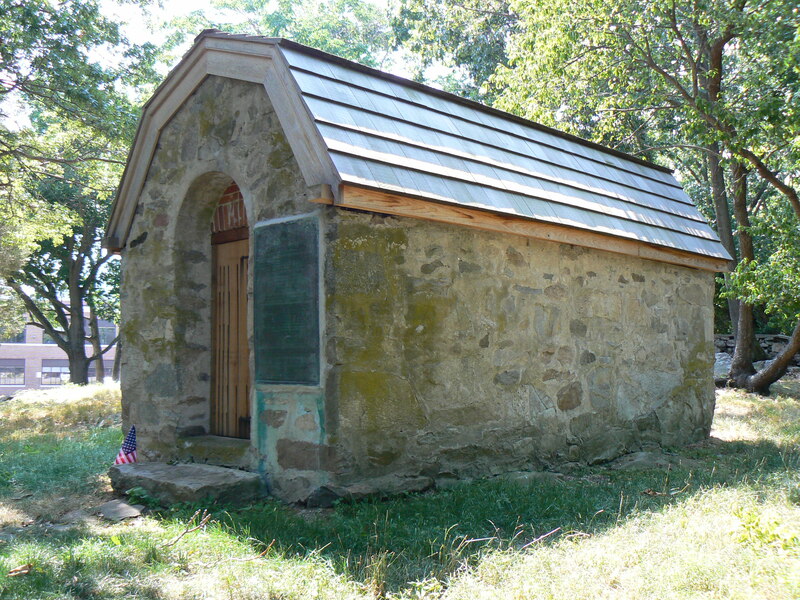 The local Daughters of the American Revolution chapter was honored by the national organization for a 2009 restoration project that gave the powder house a new wooden roof and door, and a new bench in front of the building. 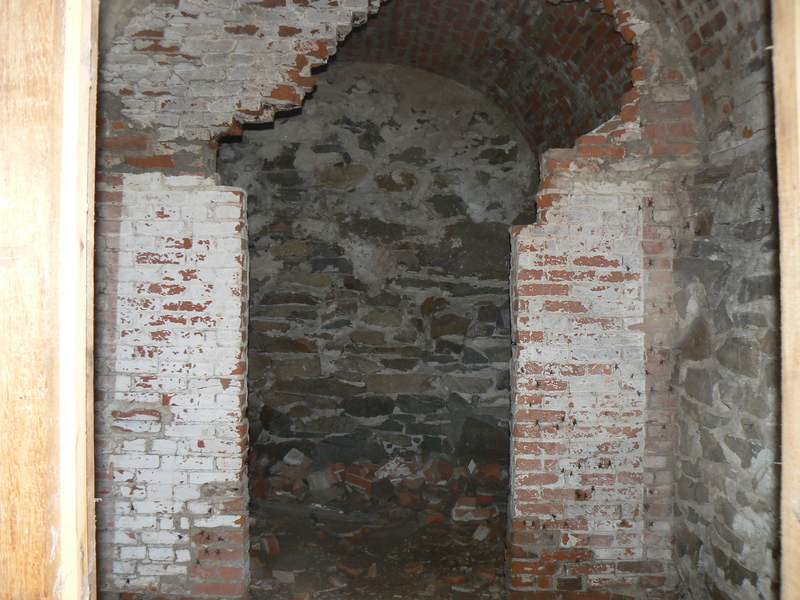 Opening the powder house’s new wooden door reveals a dark, moist interior inhabited by what appeared to be thousands of camel crickets, frighteningly large insects also known as spider crickets due to their large legs. 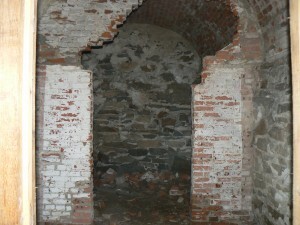 The crickets provided an effective disincentive against further exploration of the building’s interior. 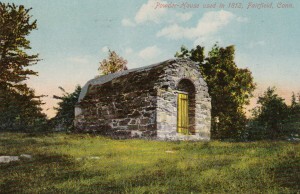 The vintage postcard bears a 1909 postmark, and shows the powder house before the slate roof and exterior plaque were added. The caption incorrectly attributes the building to 1812.